Based upon previous years, it's safe to assume that the Aldo Shoes Black Friday sale for 2019 will include 20% off the entire site plus free shipping. Since the selection of shoes varies from store to store, we suggest that you visit both the Aldo Shoes retail location near you and AldoShoes.com so that you have the best chance to get a great deal during Black Friday 2019. The 2019 Aldo Shoes Black Friday deals have not yet been released. While we don't have the Black Friday ad for AldoShoes.com yet, below are some of their historical deals which will give you a good indication of what you can expect during this year's sale. 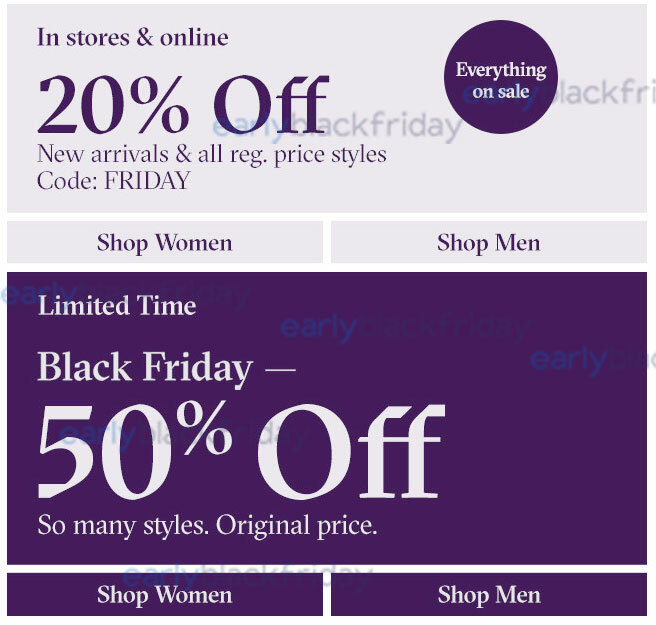 Aldo Shoes is changing up their Black Friday deals this year (compared to previous years) but offering 20% off all new arrivals and regularly prices styles when you use code FRIDAY at checkout. If you shop in the stores, this discount will automatically be applied by the cashier when you check out. Also - certain shoes and accessories will be discounted at 50% off for a limited time during Black Friday but again, this only applies to select styles so most likely you'll end up with 20% off. Either way, if you need a new pair of shoes or a stylist handbag, Aldo Shoes is the place to shop this holiday season. 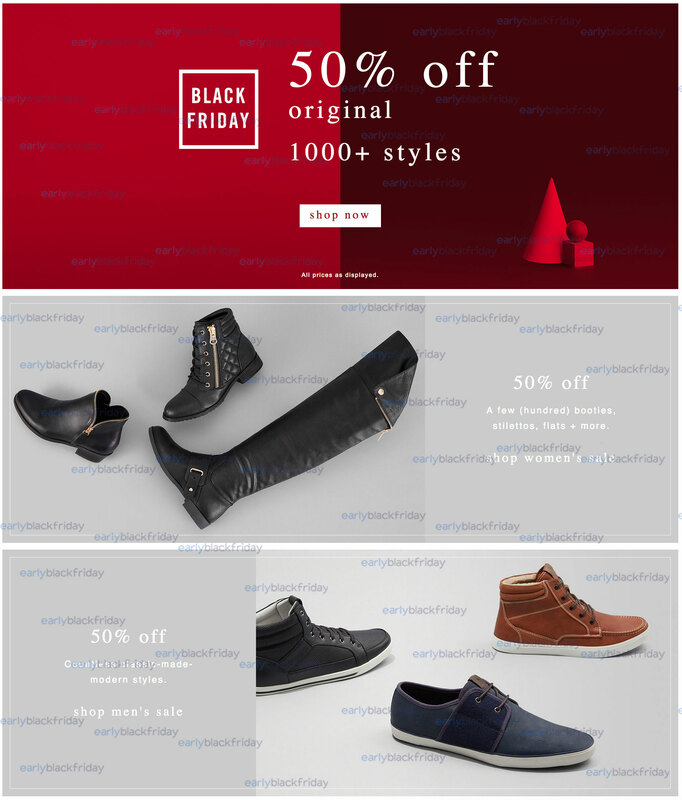 The Aldo Shoes Black Friday deals for 2015 include 50% off hundreds of booties, stilettos, flats, and much more. 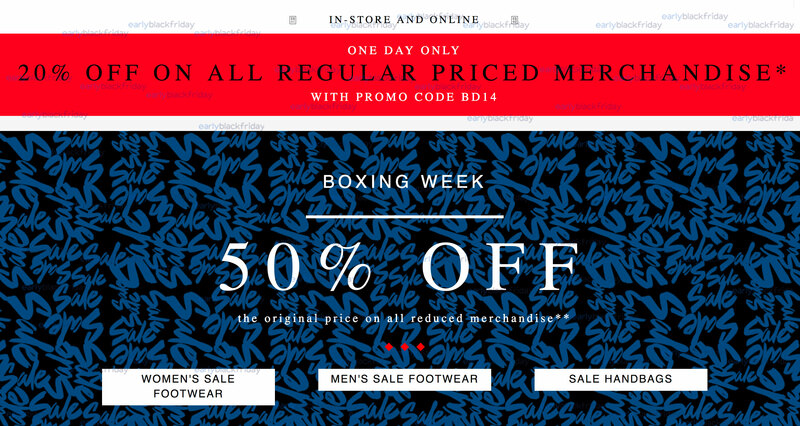 They are also offering 50% off countless classic-made modern style shoes for men too! The deals are available both in stores and on the AldoShoes.com website so we suggest you check out the sale if you're looking for a new pair of kicks! Both in stores and online, Aldo Shoes is offering 20% off all regularly priced merchandise during Black Friday. To take advantage of this deal, you need to use promo code BD14 at checkout. Also, when you use that code you can get 50% off all shoes, handbags, and other accessories that are already on sale (typically clearance items and other closeouts).